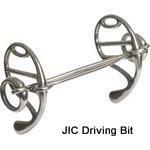 The JIC driving bit is made especially for the horses that are strong pullers. 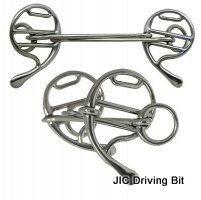 The nature of this bit is to widen out in the horses mouth thus allowing more control. Also known to help horses with poor tongue control.